How will the enterprise data centers of the future look like? At the recently concluded DCD>South East Asia conference held in Singapore, data center industry experts gathered to discuss the future of digital infrastructure deployments in the Asia Pacific (APAC) region. If there is one thing that is certain, it's that the importance of colocation should not be overlooked. According to Dan Thompson, research director at 451 Research, over 40 percent of enterprise respondents say they currently have deployments within a colocation space. In his keynote on the first day, Thompson treated attendees to an overview of the multi-tenant data center market in the Asia Pacific through a series of charts. While the city of Tokyo came out top in terms of largest regional colocation markets, the Chinese cities of Beijing and Shanghai were close behind. Pivot by country, and China is the clear leader as the APAC country with the most MTDC capacity. Indeed, both Beijing and Shanghai have more capacity than the data center hub of Singapore, and Internet usage continues to rise rapidly in China. Cloud growth in China is also staggering, Thompson noted, with public cloud revenue expected to surpass US$1 billion this year and $2 billion by 2021. He drew attention to the rise of connectivity gateways in the region and their correlation to significant deployments of data centers. For instance, Sydney functions as a gateway for Australia, Hong Kong is known as the gateway into China, while Singapore serves as a gateway to the rest of Southeast Asia. Gateway status drives growth, he noted, and is largely driven by submarine cables. India is another country where data center deployments are surging. The local cloud market is expected to grow by some 25 percent by 2021, with the government paving the way for growth through its Digital India initiative, which aims to make public sector services available online. The campaign is serving to encourage a generation of new digital startups, Thompson said. If there is one certainty in the data center industry, it's that it will continue evolving. 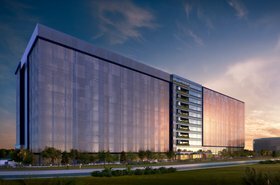 One trend appears to be a shift towards larger facilities, such as Facebook’s massive $1 billion data center in Singapore that was announced earlier this month. Mark Thiele on where next for the enterprise data center? Tony Robinson, the global marketing manager at Corning Optical Communications, pointed to another phenomenon: a perceptible move towards edge facilities. “Speaking to technology vendors, they are reducing the size and scale [of products], for more localized, more regional, edge-type facilities that bring them closer to the user,” he said. Despite the rapid changes in scale and type of data center deployments, regional players are still conservative with the technology they deploy, noted Tamás Balogh, managing director of data center consultancy H1 Systems. “Service providers in the data center industry are not changing fast enough. Even the projects happening now are quite similar to those from a few years ago. Some new technologies are starting to creep into latest designs, but it’s actually [quite minimal],” he said. Aside from adopting more efficient technologies, is there anything else that data center providers can do to lure more enterprise customers? Frenky Tjioe, VP and head of information security, governance and compliance for one of Southeast Asia's largest e-commerce companies, thinks so. “Providers have to be more willing to help customers with their compliance regulations, laws, best practices, and so on. I’ve toured the region, and the competition is high,” Tjioe said, speaking at the panel discussion in his personal capacity. Colocation providers that will come out ahead must look into the non-technical matters as well, including the topic of sustainability, opined Manik Narayan, CIO for SAP in Asia Pacific and Japan. He also highlighted the growing importance of having multiple availability zones and connectivity between different providers as enterprise deployments go hybrid. “There is a lot of collaboration going on between partners from different industries. Data center providers tying down with hardware manufacturers and network providers to provide a solution suite for their customers. That is coming together in a strong way. To a large extent, this stems from customer demand,” Narayan summed up.